Written by: Brittany Arneson, CMC ’16. Brittany is a Southern California native majoring in Government at Claremont Mckenna College. She has been an intern for the Office of Public Affairs for the duration of her time at CMC. Her academic interests include security studies, domestic politics, and human rights. This is the second part of the AIL at CMC story. To read Part 1, click here. 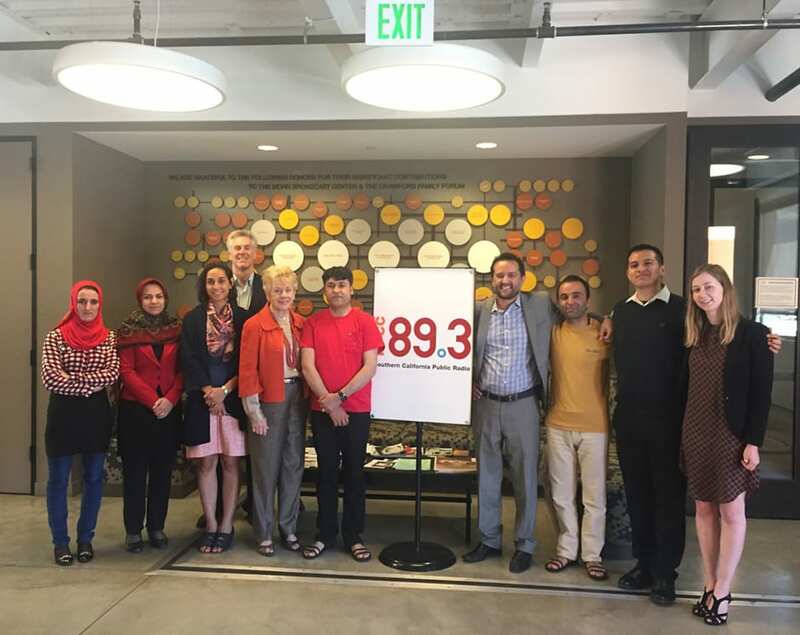 Our guests this spring from the Afghan Institute of Learning came to Southern California seeking to improve their organization. In many ways, they were here to learn, observe, and absorb information. Yet walking out of my interview with them, I realized I had gained a new perspective. They had exceeded my expectations and showcased the complexity of their organization; their genuine passion for humanity transcended the more technical discussions of many nonprofits. Each AIL member spoke with intense passion about the more philosophical aspirations of their organization; they want to bring love, happiness, leadership, health, forgiveness, and peace to their country. Ehsan specifically mentioned the role AIL wants to play in facilitating the creation of civil society in Afghanistan and the drive for a more educated, engaged populace. He believes that the programs and opportunities provided by the organization will help increase the salience of democratic ideals, human rights, and social equality within Afghanistan. Their focus on the social-emotional aspect of building their country caught me off guard. My life experiences are so different from theirs; I realized civil society in the United States was something I take for granted. I have voted in every election since I turned eighteen; I had theorized the importance of civil society for democracy in my college Comparative Government class. For Ehsan and the other members of AIL, their task was to help build and reinforce a better infrastructure for civil engagement and interaction with the government. While I spent a good month looking at civil society in the context of theoretical academic studies, our guests were on the ground facing these issues in their day to day lives. Ali shared that although AIL is expanding, now in 11 provinces with 335 centers and four private schools, political and social insecurity stalls expansion. AIL therefore focuses on progress, education, democracy, peace, love, and inclusion of all people. As Ehsan said, working for AIL and seeing the progress it has made in driving change has allowed him to work from his heart, dedicating all that he has to all people and humanity as a whole. They also shared some experiences from their time in Southern California that surprised them. Sohaila mentioned that at CMC we name buildings after generous donors, something I had never thought of as unusual or especially important. For her, she saw that as a way to incentivize donating money to their organization. If they could name a health clinic or an office building after individuals, perhaps those people would be more willing to provide the funds necessary for expansion. Ehsan and Ali pointed out that many students at CMC walk around with big smiles on their faces. They said that in Afghanistan, there is little laughing; their countrymen do not smile like students here do. Yet what they took from that observation was that perhaps the Afghan people could at some point in the future have those smiles on their faces. Perhaps, if AIL and similar organizations could help improve and rebuild the country, the Afghan people could have the same level of content and opportunity. Instead of talking about growth in terms of statistics and success, they provided anecdotal evidence of their organization’s immediate impact on millions of people. Their ambition is matched only by their compassion for humanity, and their aspirations indicate the positive change that AIL is continuously providing for the people of Afghanistan.